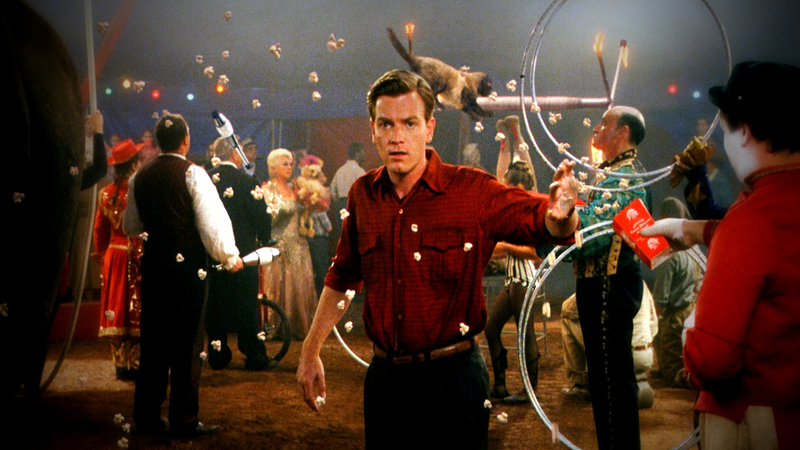 A heartfelt father-son drama with fantasy overtones, Big Fish goes looking for the magic ingredient that makes every man a multi-generational legend in his own family. 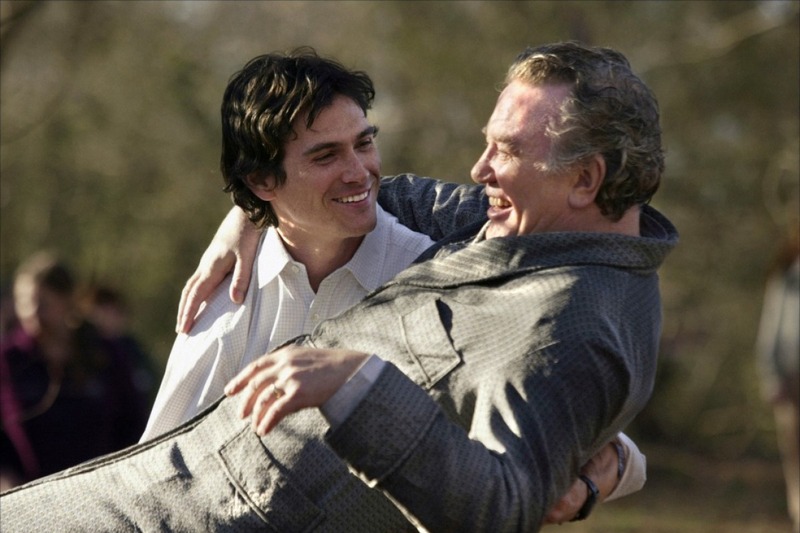 Journalist Will Bloom (Billy Crudup) is happily married to Josephine (Marion Cotillard) and living in Paris, as far away as he can from his elderly father Edward (Albert Finney). Will has had enough of Edward's propensity for telling tall tales at every opportunity, with the final straw arriving on Will's wedding day when Edward stole the limelight yet again by repeating an outlandish story about catching a huge fish the day Will was born using his wedding ring as a lure. When he hears from his mother Sandra (Jessica Lange) that Edward's cancer has deteriorated and he is near death, Will and the pregnant Josephine travel back to Alabama, with Will seeking a reconciliation with his dad. Despite Will's pleadings, Edward cannot help himself: his conversation consists of repeated re-tellings of fantastical tales from his life, including as a young boy confronting a fortune-telling local witch (Helena Bonham Carter). As a young man (played by Ewan McGregor), Edward tangled with Karl the man-eating giant (Matthew McGrory), stumbled through a swamp and into a mythical and idyllic town called Spectre, and worked for a circus master with a dangerous secret (Danny DeVito). He met and doggedly pursued the love of his life Sandra (portrayed as a young woman by Alison Lohman) and teamed up with conjoined twins while on a secret military mission in North Korea. Will has to find a way to come to terms with Edward's unique perspective on a life well lived, before it's too late. 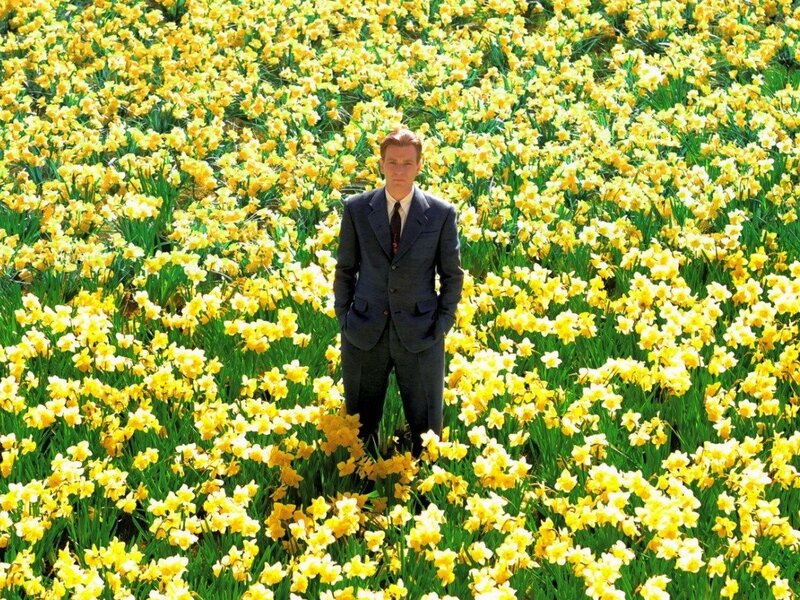 Directed by Tim Burton as a combination family drama and supernatural fairy tale, Big Fish adapts the Daniel Wallace novel and delves into the difficult waters where fathers and sons disconnect. The film is colourful, engaging and exudes a sense of wonder, all derived from Edward's unique take on his own life. The tension between father and son at life's denouement is appropriately less well developed, with both men quite stubbornly attached to their interpretation of how the stories of life should be recalled. The film does generate a warm glow from an accurate portrayal of a difficult family dynamic, and also avoids rushing towards any easy answers or pat reconciliations. 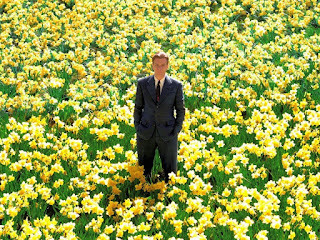 Big Fish mixes modern-day scenes of a dying dad staunchly defending his version of life in front of a disbelieving and quite frustrated son, with frequent long flashbacks to Edward's incredible life chapters. Burton is the perfect director to portray a glorified past through the lens of a fanciful imagination, with Will's inability to straddle the chasm between bland truth and embellished storytelling at the heart of his self-imposed estrangement. The film's aesthetics are beautiful, if too perfect in the way that well-polished stories scrub off all the inconvenient details and emphasize the storyteller's vivid heroics. Billy Crudup, Albert Finney and Ewan McGregor are serviceable if all a bit theatrical in their portrayals of Will, the elder Edward and Edward as a young man respectively. Danny DeVito, Helena Bonham Carter and Steve Buscemi as a long-lost poet who turns into a Wall Street shark continue in the same vein of slight overacting for maximum effect. Some of the stories from Edward's life are allegorical, others are amalgams, and still others are slight modifications of the truth. As an ambitious traveling salesman he lived a full life on his own terms, and ultimately his stories are his own definition of a soul on a quest for adventure and happiness. The arc of his life revolves around his deep love for Sandra, with many of his quests driven by his need to identify her, find her, win her heart, and then stay faithful despite the travails of life. Will may or may not appreciate his dad's ability to turn the ordinary pages of life into a fabulous story of a love pursued, won and treasured, but he will never forget that big fish his dad caught on the day he was born.